I was invited to attend the GHD Platinum Launch at Selfridges in the Manchester Exchange. GHD recently launched the new hair straightners and after hearing lots of good things about them all over Twitter I couldn't wait to get my hands on them and have a go! I was also pretty clueless about the new features but now I feel like a total expert. 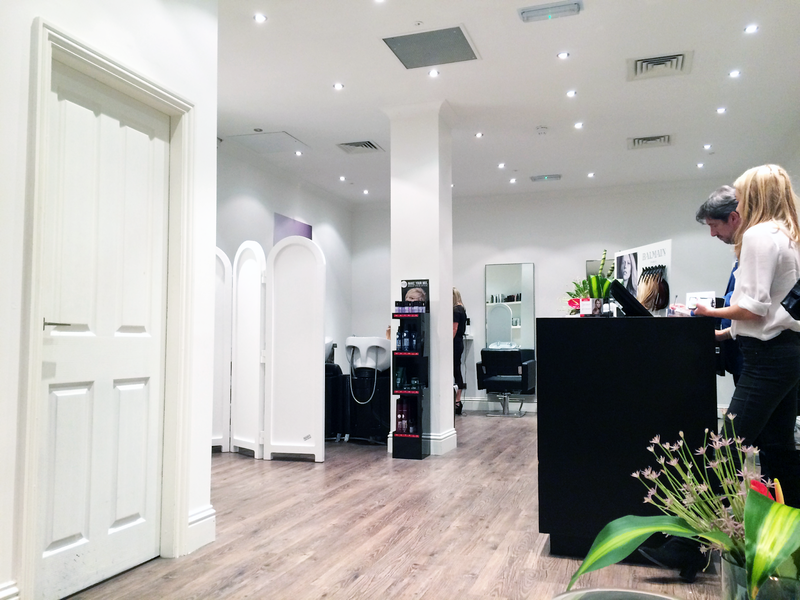 Read more to see what I got up to and how much I love the new GHD Platinum! I've always envied anyone with GHD's, I've tried them many of times before so I wasn't completely new to them but I've never owned them for myself. We were in the Peter Marcus Hairdressers which is just inside Selfridges, Manchester, next to Mac. Where Lucy from GHD demonstrated the new GHD Platinum on my hair and gave me lots of knowledge about the new technology they use: Intelligent Tri-zone. Intelligent Tri-zone is three sensors that are inside each plate that can curl, straighten and style the hair without damaging it! The styler is kinder to your hair by maintaining the optimum temperature which reduces hair breakage and leaves the hair looking shinier. The glossy finish looks amazing! I also learnt that a hair dryer causes most damage to your hair so I will be reducing the amount of times I use one of those! Usually when I curl my hair with straighteners I feel like I am burning it to crisp and whilst I'm pulling the iron through my hair it gets stuck. 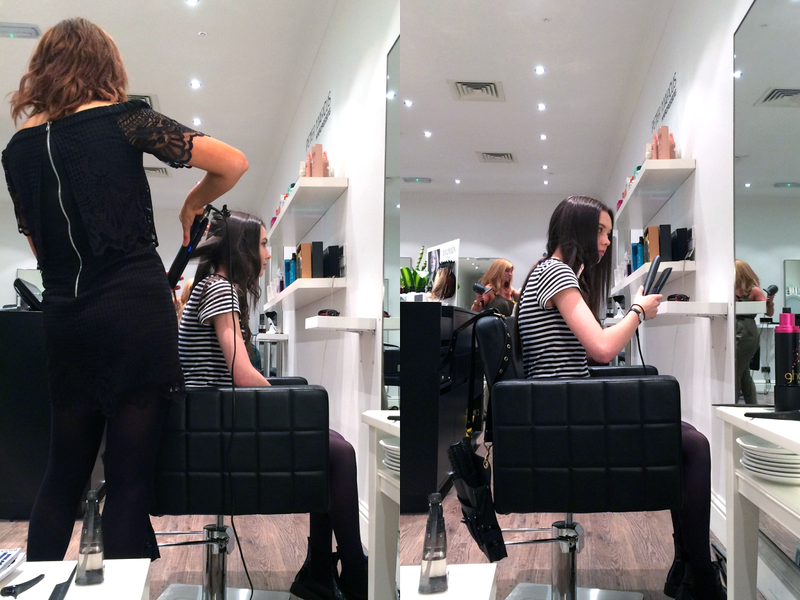 But when I tried the GHD Platinum myself it glided smoothly through my hair and gave a super sleek result! I absolutely love the natural, wavy texture you can create - looks perfect for summer and really easy to do! Some other cool things that the GHD Platinum has is the wishbone hinge which makes the plates aligned perfectly and gives you more control. The wire cord also swivels which might sound stupid but it makes it so much easier to move the straightners around your head without getting stuck and tangled in between the wires! 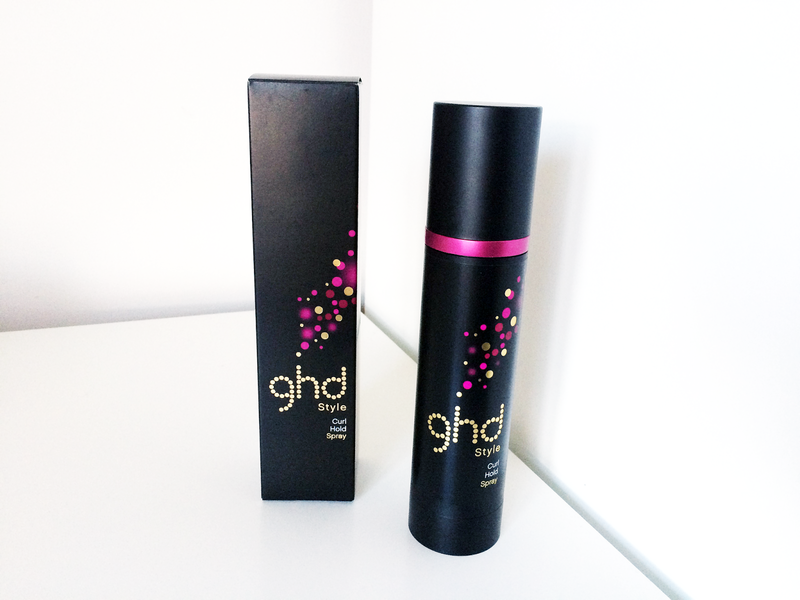 I was given the GHD Curl Hold Spray that you put on your hair before curling your hair and it keeps them in place without the sticky, heavy texture you would normally get from hairspray. I love it and it even kept my curls in over night which never normally happens! 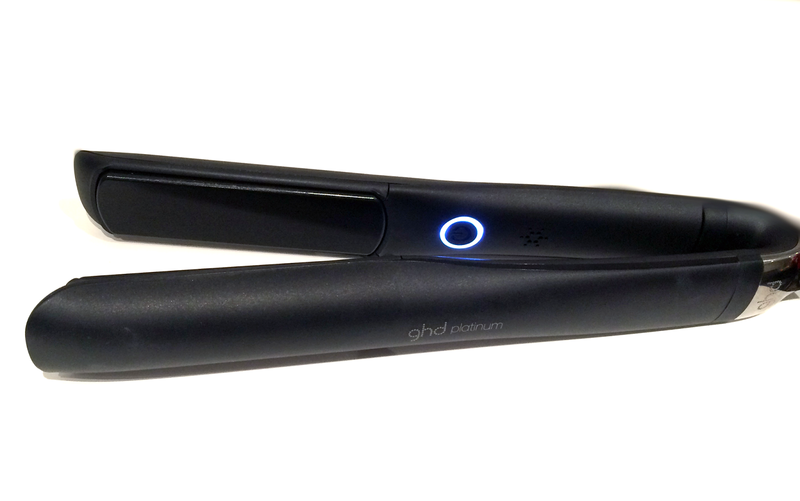 Overall, I left at the end of the event super impressed with the GHD Platinum, I think it might be the best one yet. Now it's my turn to purchase my own!